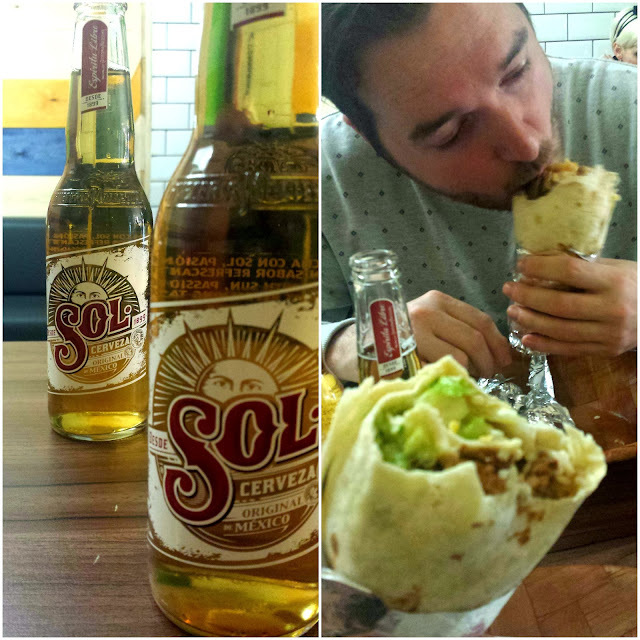 last week boyfriend and i hit up the burrito café just off charing cross road, after finding a groupon deal for two burritos and two sol beers, for a lousy nine quid. nine of your great british pounds. 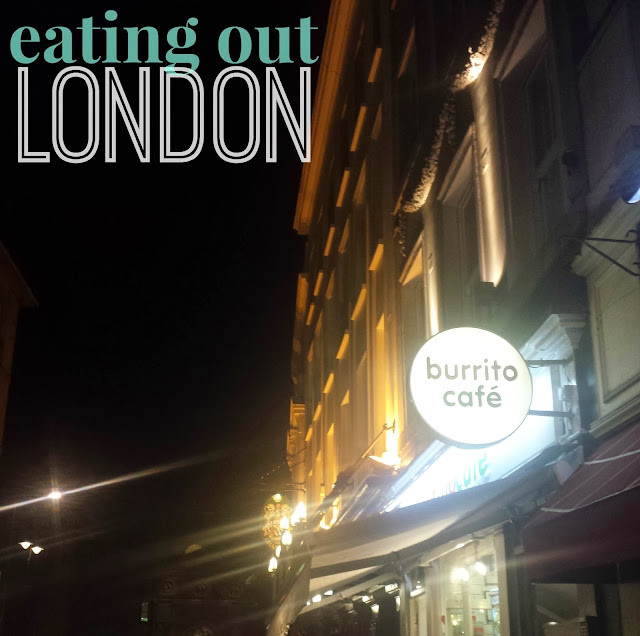 so yeah, we headed over after a spot of shopping, and tucked into our deeelicious mexican wraps. 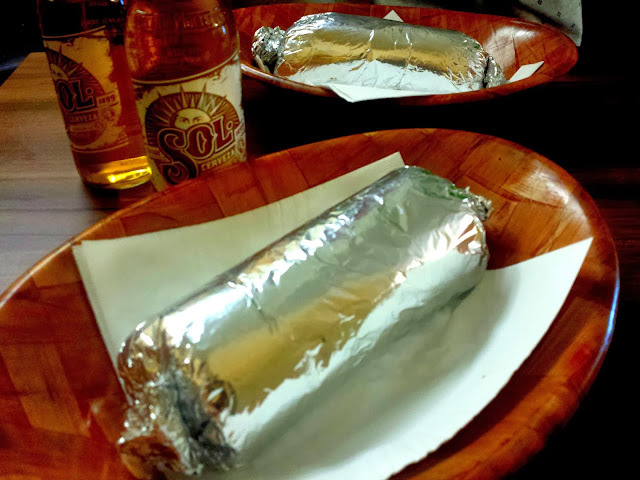 our burritos were absolutely delicious. we both went with a pulled pork and chicken combo, and the flavour was just to die for. slightly tangy but perfectly cooked, the wraps were incredibly full and bursting with flavour. yum yum yum. it was a terrible shame about the onions, because, if not for them i might've enjoyed my burrito a lot longer than i did. ahem. 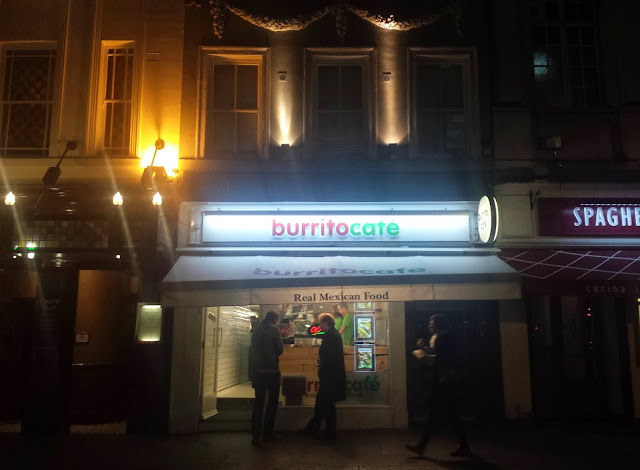 have you been to burrito cafe? what did you think? anything pulled pork. Yes. just yes.